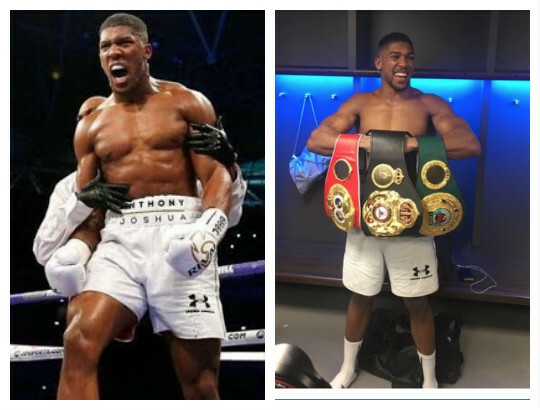 Jeremiah Okorodudu, a former boxing champion, has revealed how boxing rave of the moment, Anthony Joshua, was rejected by Nigerian boxing officials nine years ago. Joshua caught global attention and became a darling of boxing fans Saturday night after he humiliated Wladimir Klitschko, at the Wembley Stadium in England. Speaking with UK Sun, Okorodudu recalled that nine years back, Joshua’s efforts to represent Nigeria at the 2008 Olympic Games were futile as the Nigerian boxing officials turned him down. “Joshua was in Nigeria once to connect with his roots and I think that was in 2007. He wanted a chance to compete for trials ahead of the 2008 Beijing Olympics qualifiers, but he was denied and not given a chance. Disappointed, he went back to England to represent Great Britain. He went on to win a gold that could have been a first for Nigeria at the Olympics. If only they had allowed him to compete for Nigeria, that gold would have been a Nigerian gold and not Great Britain’s.” Another Nigeria coach at the time, Adegboyega Adeniji-Adele also confirmed the fact that Joshua was at the Nigerian camp.